When you lose the ability to control your bladder you may need to use adult pull ups to help shield you from embarrassment and wet underwear! Losing the ability to control your bladder is problematic because it makes it so that we have to be careful about our activities and how we do our daily activities. There are many different types of adult incontinence products out there that help us deal with the realities of incontinence. Pads are for mild incontinence problems. Diapers are for severe cases. Adult pull ups help a person with their ability to cope with mild incontinence problems. The reality of pull ups is simple. A person often has to cope with bowel or bladder problems. These types of incontinence problems happen to people who have nerve or muscle damage. Sometimes, someone will have a problem controlling their bladder or bowels if they had a stroke. Pull ups are great because they can help a person who might still be able to make it to the bathroom on time. Incontinence is a very serious issue if you are in public and are not near a bathroom. A normal person might be able to hold it in until later, but someone with incontinence will not be able to hold it. This is where a pull up is helpful. Diapers are intended for people who are bedridden or wheelchair bound. If they have an accident, a person who is their caretaker will change a diaper for them. 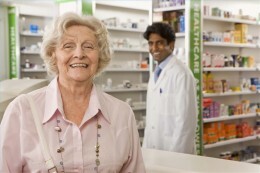 Sometimes, a short period of time may pass if a caretaker has to work with other patients. Typically, a person can go a few hours before a diaper is changed without having any decrease in their comfort. Adult diapers also have a protective layer that masks the foul odor associated with an accident. If a person goes too long without a diaper change, they can get a painful rash. Adult pull ups are for people who can walk most of the time. If they can walk to the bathroom, they can remove their pants like a person who wears regular underwear. If the pull ups that they wear are not dirtied, they can continue wearing them for a certain amount of time. If the person soils or wets themselves before they can make it to the bathroom, adult pull ups must be changed to avoid leakage and rashes. Adult diapers are more protective than adult pull ups. Adult pull ups have the minimal amount of protection against leakage. They are designed to be slick and not noticeable in a person’s daily wear. Adult pull ups are for people who have a certain amount of their mobility intact. Some people who are in wheelchairs can even get up and use the toilet if they are close enough. If a person cannot walk, however, then adult pull ups are not the best option for them. Adult pull ups even allow a person to be active to a certain extent and waterproof varieties are available for those engaged in pool therapy. Adult pull ups can help a person maintain a significant amount of freedom and integrity in their lives if they so choose. Adult pull ups are affordable and a better alternative to adult diapers. Pads are for people who do not have a severe problem. Pull ups are an option for people who suffer from a moderate case of incontinence. Incontinence is a problem that impacts a wide variety of people. Adult pull ups are a common solution to the problem of adult incontinence and allow a person to succeed at getting back to living a normal life.